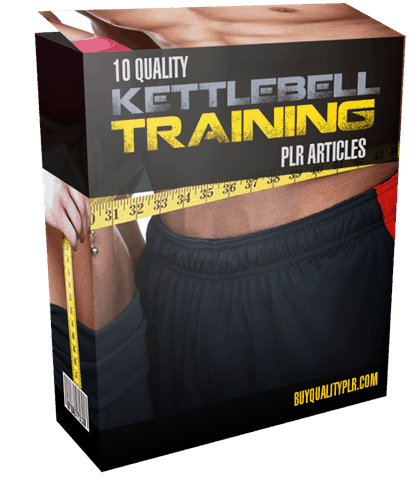 In this PLR Content Pack You’ll get 10 Quality Kettlebell Training PLR Articles Pack with Private Label Rights to help you dominate the Kettlebell market which is a highly profitable and in-demand niche. These Kettlebell Training PLR articles are available in Text file format and can be downloaded instantly after purchase. What Can You Do With This Kettlebell Training PLR? In this article, I’ll cover a few kettlebell exercises that you can do in the comfort and privacy of your own home. They vary in difficulty level so be aware of what exercise you are doing. Variety is the spice of life and that applies to your workouts too. Always aim to change your workouts and keep them lively. This article gives you a few kettlebell exercises but there are many more out there. You may use Google Search to find ‘best kettlebell exercises’ and go to YouTube and search for videos showing execution of these moves. Now let’s look at 4 kettlebell exercises that will leave you sweating and panting. Instructions: This is the most popular of all the kettlebell moves and perfect for beginners. Stand straight with feet slightly wider than your hip-distance. Hold the kettlebell handle with both hands, palms facing down wards. Have a slight bend to your knee but do not go all the way to a half-squat. In one smooth motion, drive your hips forward and swing the kettlebell up to chest level. Keep your arms straight. Then lower the kettlebell down between your legs. Aim for 12-15 reps.
You need to engage your core and gluteus muscles. The force of this movement comes from the hips and not the arms. Most kettlebell movements use the hips as the driving force. Instructions: You need to start with your legs wider than your hit-width. Next assume a quarter squat position. Maintain a straight back and keep your chest up. Hold the kettlebell with your left hand and swing it around the outside of your left leg, then swing it back to the center and past the kettlebell to the right hand which swings it around your right leg and back to the center. Aim for 1 or 2 minutes. Instructions: This exercise is much more effective than the conventional crunches because of the added kettlebell element. Be seated on the floor with your legs bent and feet slat like you were about to do a crunch. Hold the kettlebell close to your chest and lean back by 45 degrees. Slowly rotate your torso from left to right while slowly swinging the kettle ball from left to right. Maintain proper form. Absolutely NO jerky movements. This exercise will leave your abs burning. Excellent training. 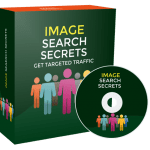 How to Purchase This Kettlebell Training PLR Pack? 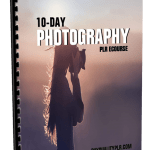 We will only be selling 50 copies on this Kettlebell Training PLR content pack, so don’t waste any time and grab your PLR license while it’s still available for sale.